When I get home, I will gather the growing laundry summit and take it to the laundromat. Dumb washer not washing anyway. Then I’ll get centered. <waittilafterschoolsoyouhavemorehandstoschelplaundry> I’ll diffuse some frankincense to help me get centered. Crap. My new diffuser is not diffusing. Still have the box. Let’s get this wrapped up and ready to send back. Put frankinsense on my wrists and inhale. <thisfrankinsenseworkedforbabyJesusitwillworkformetoo> Almost time to get centered. Find free yoga site. Yes. I’ll take the 19 minute 52 second version today as my tookus still hurts from my first <again> run Saturday. Ahhhh. Namaste. Reaching up, breathe in. Hands to prayer, exhale out. 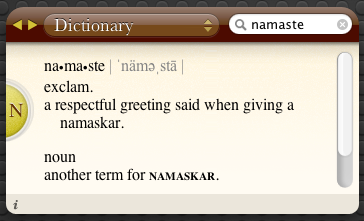 <whatisnamasteanyway> Pause. 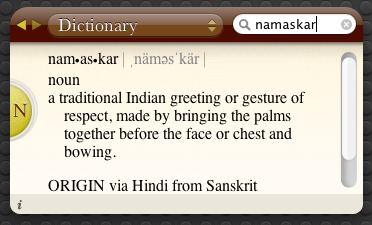 Look up namaste. Indian? <ihateindia> Am I doing some crazy Indian ritual and unknowingly praying to Indian gods like a church lady told me 10 years ago? Am I hurting God’s feelings doing yoga? Maybe I should get centered another way. <iknewsomeonewhowenttoindiaandhewentofftherails> See? Yoga is Indian and India is bad! I should go back to bed. <itprobablywasntindiasfault> The Indian people ARE really cute in their Kurtas and Saris. They probably aren’t all bad. And I know the God I pray to and He centers me. <maybethatswhoyoushouldfocuson> Play. Namaste. Inhale in. Exhale out. I’ll get to my art history paper after this plank…kerplunk. <planksaredumb> And then 3 online quizzes after paper. Warrior Pose. <illmakethosequizzesmybeeotch> Is it time for baby pose yet? Inhale in. Exhale out. Corpse pose. <irockthispose> One more time. Inhale in. Exhale out. Namaste. Namaste beeotch! Centered…ish. We’re only about a half hour on our way home on a 1 hour 45 minute trip and had to stop AGAIN! Those of you who know me, know that we don’t stop once we’re in the car. Do not drink anything because you will not be able to pee until we have to gas up! At first I thought the bikes were falling. And then…a daddy long legs came down from the sunroof…right.next.to.me! 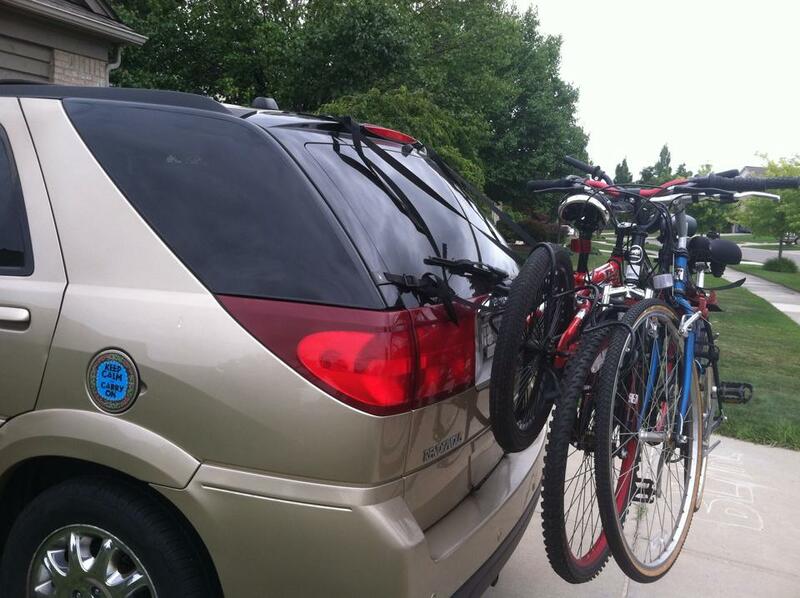 Bikes attached with minimal cussing…for the minimal time they were ridden this week. We’ve been at my bestie’s for five days redecorating her daughter’s room with six kids between us and not one glass of sangria! Not so calm and a little carrying on. We’re going through a series at my church called “NO”. We’ve talked about saying “no” to kids, “no” to friends and family and this week is “no to self.” I was SUPER excited to see what else I can eliminate from my life as I feel like I’m already stripped down to pretty much bare bones over the last few years. It was a very moving service (complete with the very spiritual Toby Keith song “I Wanna Talk About Me”), urging us to put Jesus as the center of our lives. What a challenge for the “me-generation” where we are self-focused and entitled. I went forward for communion, went over and knelt before the cross on pillows laid out for us as we symbolically wrote down the things we had place on the throne of our lives in place of the Lord and gave them to Him. I could feel myself giving over the things He was asking me to give over and kinda beating myself up for hanging on to them for so long. So after this, I was talking to a friend and another woman who I know only as an acquaintance, was waiting to speak to me. She told me that she thought I was so beautiful and that there was just an aura about me and how is it that I’m still single? At this point, I’m starting to look over my shoulder for Alan Funt! (Google Candid Camera, for all you hipsters who have no idea who that is.) If something like this ever happens to me, it’s usually from some douchebag trying to charm me into bed. But this woman was so sweet and so sincere. She took my number so we can get together for coffee and offered up her pool for the boys and I this summer. I left church feeling so filled-to-the-brim after giving up some things that needed to go. Sometimes you just need to dump your cup in order for Him to overflow you with just the things you need. So we moved about 2 1/2 years ago about an hour away from my hometown to marry the man I loved. While, in hindsight, there were red flags that I chose to ignore, I loved this man with all of my heart, more so than anything I’d ever felt for my ex-husband. He moved us here, called my boys his kids, said he loved us and offered me the world. I was his “miracle”, he said, our second chance at a happy life together. Anyone who’s been through a divorce knows that there’s a period of crazy that you will go through and nothing but time will cure “the shiz” as I call it. Well, this man was NOT through his shiz no matter how much I wanted to believe that he was. I also had some of my shiz dredged up when losing my home and moving, picking at old scabs and starting the bleeding again. Each time the scab gets picked, you learn better how to control the bleeding but for the first year, you just need a lot of grace. After we were here about 2 months, he began to wig out about really small things. His anxiety levels were so much higher than I had seen from an hour away. Living around the corner from him and spending more time together as a family, I could see the red flags more and more. And now, I’ve moved my boys to a new school and they are developing new friends, full of hope of having a complete family unit with new siblings they adored. What now? In the meantime, my van was on it’s last leg. I had been making jokes for months about how I was going to pick out a lovely tree for it’s ultimate demise if I couldn’t make it last until my taxes came back in the spring. Funny, right? Well, not so much when a deer ran in front of me, grazed my hood and took off into the marshy woods on a foggy morning. I felt the wheels beneath me rise up and prepared for the roll. But there was a small tree that I grazed the passenger side that miraculously put the tires back on the ground. The guy who saw it happen stopped and helped call for help. I do not remember shaking so much in my life. He called my love for me since I couldn’t seem to function. My love sent his mother instead. A few short days later, after acting strangely, he decided to go to the crash site with his son and had come to the conclusion that I had crashed my van on purpose. Nevermind the blood on the hood of the van from the deer and that the police and insurance adjuster found no fraud. This would change how he felt about me as a person, I was told, and he needed time to himself. We were devastated. But, I put on my best gracefulMess smile, changed my relationship status on FB, and tried to keep us together. The boys were sobbing, and I mean SOBBING, every day. Watching their pain was worse than losing my love. We went back and forth for a couple of months, getting back together, breaking up…until I finally couldn’t take it anymore. I began working full time for the first time in 10 years and also going to school 2 nights a week with about 10 more hours of homework. I took all of this on because he had committed to helping me. But now, my boys were reeling and I was getting sicker by the day. I knew I was exhausted but who wouldn’t be with all of this going on. I just kept putting one foot in front of the other. My period lasted for 7 weeks straight with very heavy hemorrhaging and I became severely anemic. According to livestrong.com, a normal hemoglobin level for a non-pregnant adult woman is between 12.1 and 15.1 g/dL…mine was at 6.1. In an adult, a normal blood iron level is 60 to 170 mcg/dl. On average, women have slightly lower iron levels…however, mine was 8! Red and white blood counts were crazy off the charts. I was passing out 1-2 times per day, jaundiced and almost transparent pale, and was hospitalized for two days. (A special thanks to my bestie who came and cleaned my house quickly because she knew my mom was coming to take care of the boys and would FREAK at the mess in my condo! My mom still cleaned when she got here!) Thankfully the transfusions worked eventually, but not before a barrage of tests, including for lupus and MS. Thankfully, I’ve learned to control all of the things that got me into such a terrible state and I’m much healthier and stronger now. During this time, this man never checked on me, never checked on the boys, and never even said goodbye. He offered no explanation to his family or our church lifegroup other than, “they’re busy and can’t make it today.” When a few of his family members found out, they tried to talk to him but he said he wouldn’t talk about it. They had been asking him to get help for years but he refused. When I questioned him, he offered no reasons why other than, “I want to be alone! I have free will and I’m choosing sin!”…as I was reading his newly renewed match.com profile. This morning, we went to both services at church because we were on for kids worship both services. While taking my time between services, his mother came up to me and asked if I remembered her. (I didn’t know that she began attending my church!) Of course, I told her, letting her know that I was doing well and updated her on some of the things in my life. She said that her son is getting married today. Today! On the anniversary of my divorce! Fantastic. She went on to give details of how she will help get his kids (the kids I loved and thought would be my own) to the church and other details I really didn’t care to know. With my gracefulMess smile on my face, I politely listened as if it didn’t hurt my heart all over again. Looking at the faces of my boys as they recognized her and then heard her tell of his wedding, I could see their pain begin to resurface. We had a good boo-hoo session when we got home and talked through our hurts. Today has picked at a scab that I thought had scarred over. It had not. So I bleed a little bit again today, but I will not allow it to last very long. Instead I will let the bleeding spill through my fingers onto the keyboard and tell a little more of my story while he gets married this afternoon. This, in hopes that my story can somehow encourage another. Though your heart may be broken, you will heal. There will be setbacks. There will be crazy. There will be more shiz to work through. But the Lord, He loves us and has never let us go. I don’t think he’s gonna stop today. It’s been a while since I’ve been able to get my thoughts together here. And for those who’ve prayed for us, I will write about our hearing soon. It’s been a couple of weeks of just trying to heal from the fear of possible jail time. Each time I go back to court, you’d think it would get easier. It doesn’t. I should have some kind of honorary law degree by now. Maybe another girl scout badge at the very least! 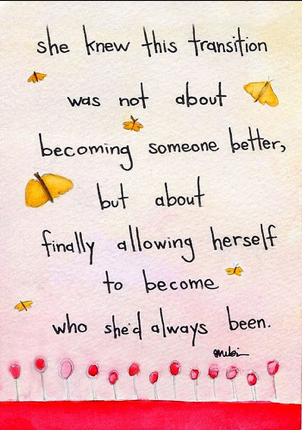 I’m beginning to resurface and in many ways, I feel like a completely new person. I’ve allowed myself to dream again and to look at a completely different path for us. There are a few dreams that I should know better than to allow myself to have right now. And for that, I will try not to beat myself up for right now. We’ll focus on the One who has brought us this far! I’m now strong enough to run again…well, we’ll use that term loosely as I still struggle with the sludge-in-my-veins anemia issue. But I’m moving forward and getting artsy again. I think we just might be seeing some light at the end of the tunnel. And this…this makes me smile!